Source: Simon & Schuster Audio Digital Review Copy – Thank-you! I am a long time Stephen Colbert fan and I am also Catholic – is this the perfect book for me? If you have never heard the midnight confessions bit on The Late Show with Stephen Colbert, he “confesses” to things that are not actually sins, but that he may regret. They are quick and funny bits of humor. Organ music plays in the background, which sets the mood perfectly. Colbert has been plugging the book on this show in a humorous way and I was happy to be able to review it. I’ll admit that on the show, I find the Midnight Confessions bit to be uneven. There are some funny lines, but others fall flat. Luckily in this audiobook, only the best lines are selected and it is a hilarious composite. The lines are actually just bits from the show so if you are looking for something new, you will be disappointed. 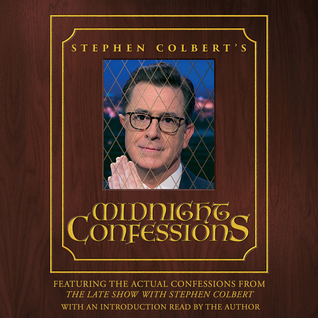 Stephen Colbert narrates the book which includes a new forward that goes with the book and then selected confessions from the actual show. I love Colbert’s voice and could listen to it all day. It made the book for me. The audiobook is very short – only 35 minutes! 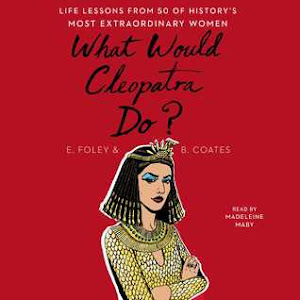 Overall, this is a quick and fun audiobook that will make you laugh on your daily commute. 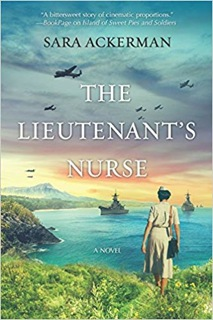 Source: Review Copy from Author Jill Nojack – Thank-you! Natalie loved William in their youth with all of her heart until he disappeared one day, accused of being a serial murderer. His ghost has haunted her for fifty years since, but she can never prove his innocence, nor rid him of his ghostly ugly sweater. In the small town of Giles, Massachusetts, there are many witches and warlocks still around trying to live normal lives. When the murders start to happen again, can Natalie prove that William was innocent after all while also stopping the murderer? I enjoyed this paranormal mystery and it was a perfect read leading up to Halloween. I loved the setting of the spooky small town located close to Salem, Massachusetts. I also loved the vividly written characters. While I loved the main love story of Natalie and William, there are also newlyweds Cassie and Tom (who was once a cat), and partners Gillian and Robert to provide an interesting love story as well. Natalie, Cassie, and Gillian are the Maid, Mother, and Crone of the series. They work together to solve the mystery along with a great cast of interesting side characters in town. The mystery was great – it kept me guessing all of the way until the end! I really enjoyed narrator Brian Callanan. He had fantastic and unique voices for each of the characters. It kept me intrigued with the story and looking forward to my daily commute. I love when a narrator adds to the story in such a way and really gets into it. 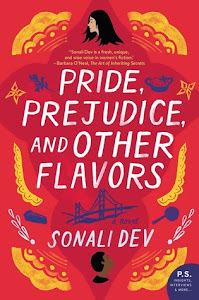 The only part I didn’t enjoy about this book is that it is the first in a series, but I felt a bit lost when I first got into it as there seemed to be a fair share of back story that I didn’t know anything about. I found out at the end that there was a series about Tom and Cassie before this series . . . I think I need to listen to that series now! 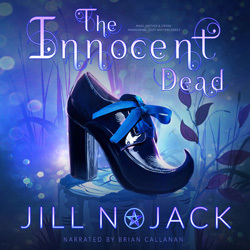 Overall, The Innocent Dead was very enjoyable cozy mystery audiobook with great characters and setting. It’s the perfect audiobook for this time of year. I want to know how Natalie and William’s love story ends. I need to listen to the next book in the series! Are fairies real? Two cousins in 1917 England took pictures of fairies that astounded the world. In a world that has just seen the greatest war known to mankind, the story of these fairies gave the world hope and something positive to dream about. The girls took the pictures for themselves, but when Sir Arthur Conan Doyle learns of them, he publishes the story and the pictures and makes the Cottingley Fairies and the girls, Frances Griffiths and Elsie Wright, famous. Were the fairies real? In the present day, Olivia Kavanagh has suffered a devastating loss at the death of her Grandfather at the same time she has found out a shocking medical prognosis about herself. 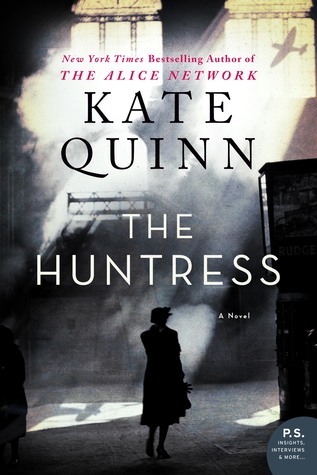 Unable to face her fiancé, Olivia works at reviving her grandfather’s bookshop she has inherited in Ireland while also taking care of her grandmother who has dementia. She stumbles across a family heirloom which is Frances Griffith’s personal story and is entranced. Can Olivia face her own demons and start a new life for herself? I loved how these two stories were entwined perfectly. Each story was an escape for me during this busy time of year and I love reading about them. 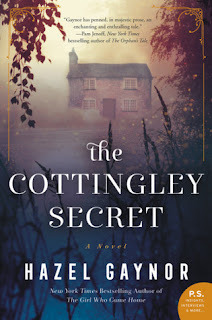 Gaynor had them perfectly set in two picturesque villages in both the past and the present. I felt like I wanted to visit them both as well as meet all of the unique and vividly portrayed characters. I also LOVED the extras at the end of the novel which includes the fairy pictures. I found myself constantly flipping to look at them through the story. Gaynor wrote a great background on the Fairies and I loved the essay by Frances’s daughter as well. I had heard of the Cottingley Fairies at some point in the past, but I didn’t know that much about them. I really enjoyed reading this story and leaning so much more about them. 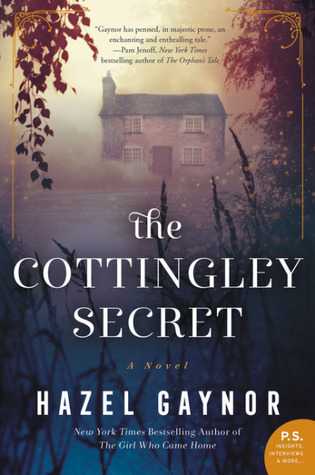 Overall, The Cottingley Secret is an entrancing story of two fascinating heroines from two different time periods with intersecting stories. It was a great escape read and I highly recommend it! Book Source: Review Copy from William Morrow. Thank-you! 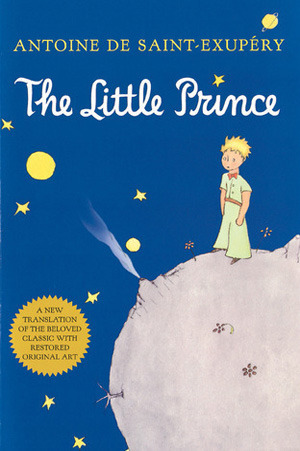 It seems like I see The Little Prince on the majority of lists of the best books that everyone should have read. I sadly never read this as a child. I was looking through my bookcase of kids’ books this summer and saw that we this book as part of a great deal through the Scholastic Book Order for something like ten books for ten dollars. I gave my son Daniel a few books to choose from for us to read together and after reading the first page, he picked The Little Prince. We actually read this book last month, but I’ve been a bit behind on my blog with student advising and mid-terms so I’m just getting to the review now. What entranced nine year old Daniel about this book, was the story told by the narrator in the first few pages about how to draw a boa constrictor after reading True Stories from Nature. The story was accompanied by drawings and Daniel and I both thought it was hilarious how he chose to draw the snake and how the adults didn’t understand. I think this was a metaphor for the rest of the novel and about life – sometimes we miss the obvious beauty in the world around us. The Little Prince lives on a planet all by himself with three volcanoes, two active and one extinct. He also has one beautiful flower. He loved the flower and she loved him, but one day he decides to leave on interplanetary travels where he discovers many things before traveling to earth. Daniel thought the Little Prince was very interesting and he really liked the pictures that went with the story. I thought the book had beautiful language and some excellent quotes, but I’ll admit that Daniel seemed to love it more and understand it more than I did. I kept feeling like there was a deeper meaning to the story that I just wasn’t understanding just like with the start of the story with the adults not understanding the child and the boa constrictor. Was this the engineer in me trying to read too much into it or the engineer in me looking for the hard facts and missing the philosophy? Overall, The Little Prince was a beautiful and very unique book that my son and I enjoyed reading together and discussing . . . although I feel like I was missing something profound. What are your thoughts? Did you love the Little Prince? What was your favorite thing about the story? What am I missing? 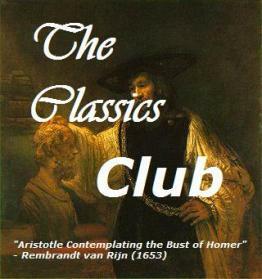 Why do you think this book is a classic? I really love Holiday books. We have bins of books for different holidays that we bring up through the year to spice up the kids’ selection of books. Sadly we have a lot of middle reader Halloween books that the boys picked out . . . but they won’t read them as they look “too scary.” I think I may end up reading them on my own one of these days!! 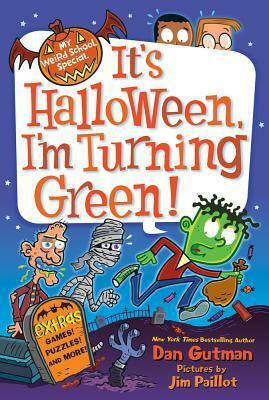 Daniel (my 9-year old) was VERY happy to see It’s Halloween, I’m Turning Green by Dan Gutman in our collection. Daniel is a huge Dan Gutman fan. He loves Gutman’s humor, especially in The Genius Files series. He read the first one as part of our local library’s youth book club and we listened to the second book in The Genius Files this summer on our family trips and were very entertained. It’s Halloween, I’m Turning Green involves the shenanigans of AJ and his friends as they go trick-o-treating. Tragedy strikes when there candy is stolen by a Halloween monster. Who is the Halloween monster and how can they stop him? This book is part of the My Weird School series and is a special book in the series – but it can be read as a stand-alone novel. Daniel enjoyed the humor of the story, the pictures by Jim Paillot, and that it was an easy read for him. He also loved the Halloween facts at the end of the book as well as the activities. He really liked looking at the two pictures to find the differences between them. Overall, It’s Halloween, I’m Turning Green is a fun Halloween book for grade school readers who are looking for something humorous and not overtly scary. What would happen to a world without bees? The History of Bees explores this dystopian future where the world has collapsed after all of the bees and other pollinators died. There is no longer enough food to supply the world. Economies and countries collapsed as mass starvation sets in. Is there hope for the future? Three parallel tales set in the past, the near present and the future reflect on the problem. In England in 1852, William is obsessed with the study of bees and of building the perfect hive. He suffered a personal bout of depression, but after a remark from his son inspired his passion he worked with his brilliant daughter Charlotte on his bee studies. Are his daughters really as worthless as he believes? Can he find a way to prove to himself and his mentor that he is worthy? In the United States in 2007 George works a family farm and has a contentious relationship with his son. His son is off at college and instead of studying agricultural to come back and work on the farm, he has chosen English as his major. After the bees on his farm suffer colony collapse, George tries to figure out how to move forward with his farm and also how to have a relationship with his son. In China in 2098, Tao works as a hand pollinator in a monotonous job. While the rest of the world has suffered greatly, China has hung on with the resilience of its people. After Tao’s son suffers a mysterious collapse. She explores dystopian China to try to find him. Will she find her son and what happened to him? The audiobook of the History of Bees was excellent. I loved that there were three distinctly different narrators, one for each storyline. I also loved how their voices also matched the personalities for the individuals from a haughty British gentleman, to an American farmer, to a resilient woman in the future. It was an engaging story that kept me riveted on my daily commute. It also did a great job of tying the three story lines up at the end and coming up with a great and believable conclusion. We talk about bees and colony collapse in the environmental science class I teach. I thought this was a thought provoking literary fiction novel on it. What will happen to the world if we continue to ignore this problem? I thought it was interesting as well at the placement of the action from England when it was a super power to the US when it was a super power to a future China which may be one of the only countries left. I was also saddened the US collapsed as the regular citizens wouldn’t do the field work to pollinate the crops . . . although I could see the happening. I still believe there are enough hard workers though that faced with starvation we could get it done, or so I hope. I also loved the relationships between the parents and their children. What will a parent do when expectations are not met? Is their love conditional? How long will it take William to realize his son his worthless, but he has at least one excellent daughter? 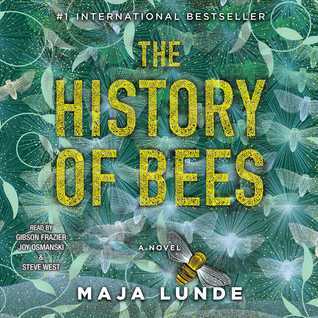 Overall, The History of Bees was a through provoking and intriguing novel. I highly recommend it. Alexandra Jamison lives in Nashville Tennessee with her parents. 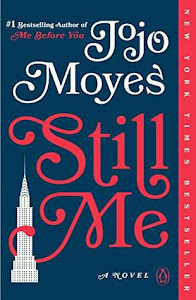 An independent woman, her parents try to force her to marry an unappealing older man. One year earlier, her fiancé, David, was killed in a horrific train crash. David had inspired her in the love of education and education for all people. Alexandra makes a decision to teach at Fisk University, which is a school started to teach newly freed African American students. Her parents are not amused and she is kicked out of the house. Alexandra faces a brave new world on her own merits. Sylas Rutledge is a self-made man who has come to Nashville from Colorado to not only try to make a business deal to build a new railroad to Belle Meade Plantation for General William Harding, but to also solve the mystery of the train crash one year previous. His stepfather was the engineer on the line. Along the way he meets Alexandra and is smitten. She agrees to teach him etiquette that is needed to do business in the South. Will romance bloom between these two? Will Alexandra be able to make a living as a teacher at Fisk? What really caused the train accident? 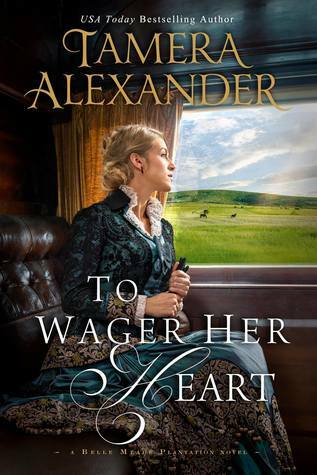 To Wager her Heart was a wonderful Christian romance. There is great chemistry between Alexandra and Sylas. I really loved the unique setting. I don’t believe I’ve ever read a historical fiction novel set during Reconstruction in Tennessee. 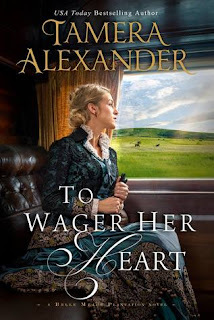 I also have not read too many historical fiction or Christian novels that really delve into diversity and what it means like in To Wager Her Heart. It was a very intriguing story on many levels. I also greatly enjoyed the mystery of the train accident. This novel is the third volume in a series, but I read it as a standalone novel and greatly enjoyed it. I also really enjoyed learning about the Jubilee singers as Alexandra travels around with them on tour. They were a group of amazing African American singers that toured America to raise funds for Fisk University. The most heart rending for me was one young man who kept searching for his mother that he had separated from when he was a boy and still a slave. I also love that Tamera Alexander has a lot of background information on her website - http://tameraalexander.com. 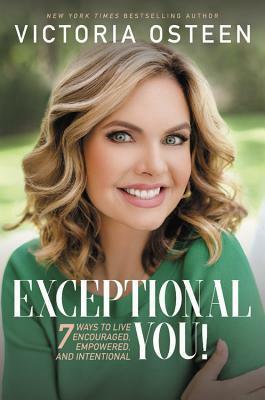 She also has great book club bonus features including that she will skype with your book club - which would be very fun! Overall, To Wager Her Heart was a beautiful novel. I loved the setting, the characters, the unique story, and the romance. I loved how author Tamera Alexander brought Christianity into the story and also how she talked about diversity. 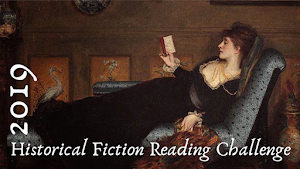 I will definitely be checking out more of her books – I see she has a new Christmas book – A Carnton Christmas. I also really wanted to visit the Belle Meade Plantation in Nashville now. I think I have a new favorite author to add to my list! Book Source: I received a copy of this book to review as part of the TLC Book Tours.